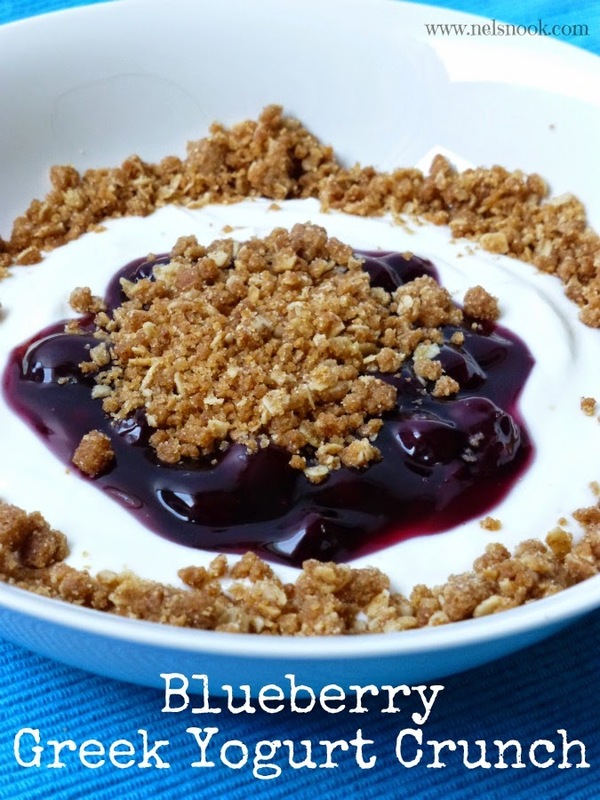 High-protein Greek yogurt mixed with homemade granola and blueberry pie filling - quick, healthy breakfast option for those on the go! I don’t know about you but I struggle with finding something quick for breakfast that tastes good and is good for you! 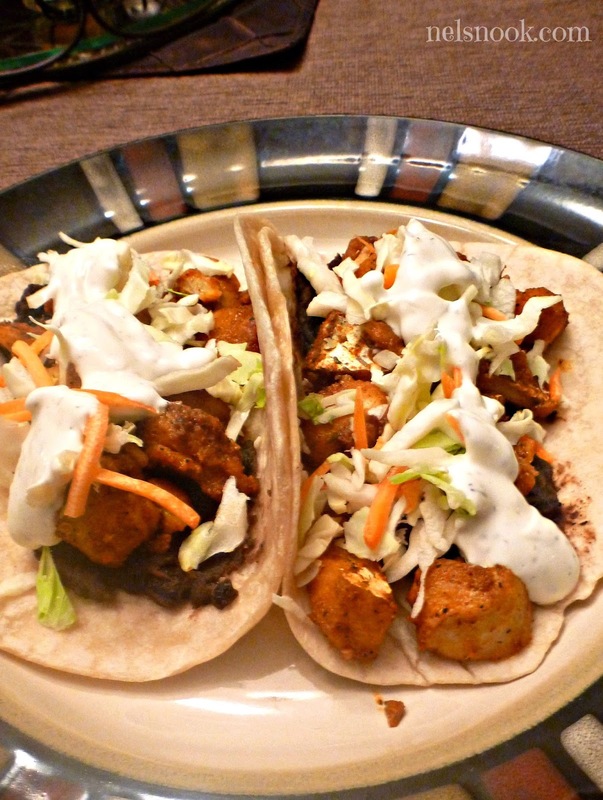 I have been using Greek yogurt as a substitution for a lot of things – sour cream, cream cheese, mayo but never really eat it just by itself. I buy plain Greek yogurt which is way too tart for me to eat all by itself. Plus since I use it as a condiment or sauce all of the time I think I just forget it can be eaten straight out of the container. I mean I guess you can eat sour cream straight out of the container but you may get some funny looks! So back to breakfast – in an attempt to incorporate some healthy and tasty breakfast options into my day I came up with this super easy, super tasty recipe using Greek yogurt and Lucky Leaf pie filling. I love using fruit filling because it’s so quick and easy plus it tastes fantastic! This recipe is perfect for mornings you are rushing around and need something fast.. I stick it in a container with a lid and eat it on my way to work. The yogurt, fruit, and granola crunch go perfectly together. My girlfriend said “it tastes like the yogurt they used to have at McDonalds only way better!” - points for me! Pre-heat your oven to 350 degrees. Line a baking sheet with parchment paper and set aside. In a bowl, combine the melted coconut oil, flour, brown sugars, cinnamon, and ½ teaspoons vanilla. Stir until well combined. Spread the mixture into a thin layer on your prepared baking sheet. Bake for 15-20 minutes or until dark golden brown. Let cool. While the granola mixture is baking, combine the yogurt, powdered sugar, and 4 teaspoons of vanilla extract in a bowl until well incorporated. Now you have some options: You have two options when you make it – you can mix everything together all at once (4 servings) or you can make 1 serving at all time which makes it great for mornings! If you are making it all at once, mix together the yogurt mixture with the Lucky Leaf Premium Blueberry Pie Filling. Divide the fruit and yogurt mixture into 4 bowls and top with the granola crumble. Serve immediately. If you are making it one serving at a time, mix together 1 cup of the yogurt mixture with ¼ of the can of Lucky Leaf Premium Blueberry Pie Filling. Right before serving, top with ¼ of the granola crumble.